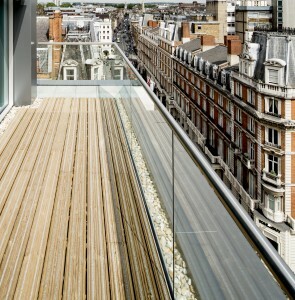 The Wigmore Street development in London nestles between St. James Street and Duke Street in the buzzing West End. Designed as a mixed use development, the project combines retail space on the ground floor with office use, and the residential properties to the south of the development satisfy the planning requirements for Westminster. 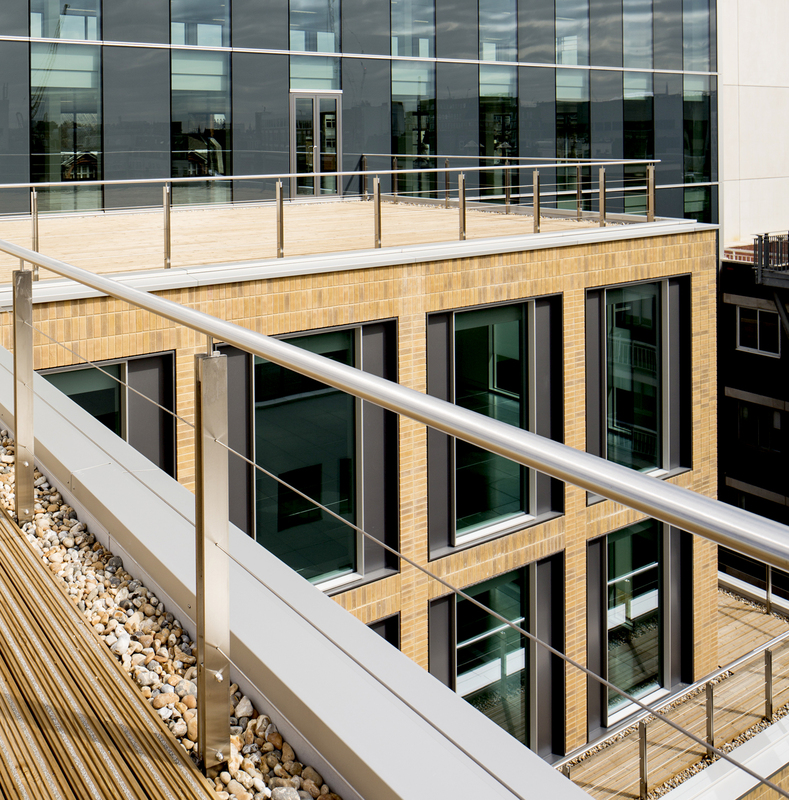 John Brash was approached to find a solution for the roof terraces and outdoor walkways, as the originally specified product was not available with FSC accreditation, required to meet the client’s sustainability charter, whilst also meeting CPET and EUTR regulations. 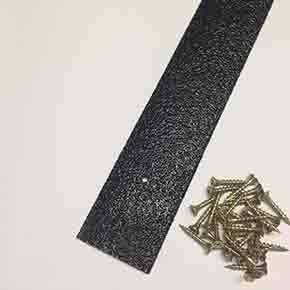 John Brash provided the solution with JB Antislip Plus® Classic. This is a slow grown European softwood, treated with a brown pigment to give a darker appearance, similar to heat treated timber also known as ‘Thermowood’ or hard wood decking. This enabled the aesthetics of the decked area to be delivered but using a softwood product with FSC accreditation. The Classic Range is available in a smooth or castellated board and helps achieve the visual appeal of a luxurious hardwood deck with all the benefits of softwood. Softwood is more affordable than hardwood and easier to work with & install, as no pre drilling is required. In addition to the brown treatment, the deck boards were cut to a smaller size of 2.4 metres, during production. 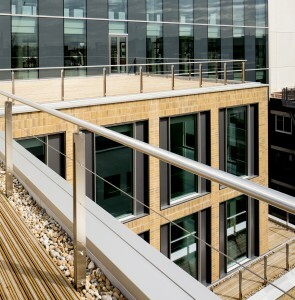 This was to save time on site as the timber had to be taken to the upper floors via the internal staircase. The combination of ability to meet the aesthetic requirements and help ease of installation made the choice of John Brash decking a simple one. 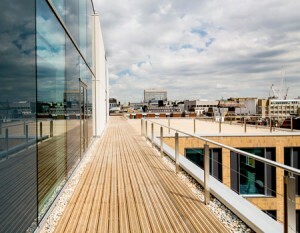 To find out more about using John Brash timber decking for your project contact the technical office on 01427 675588 or visit www.johnbrash.co.uk.